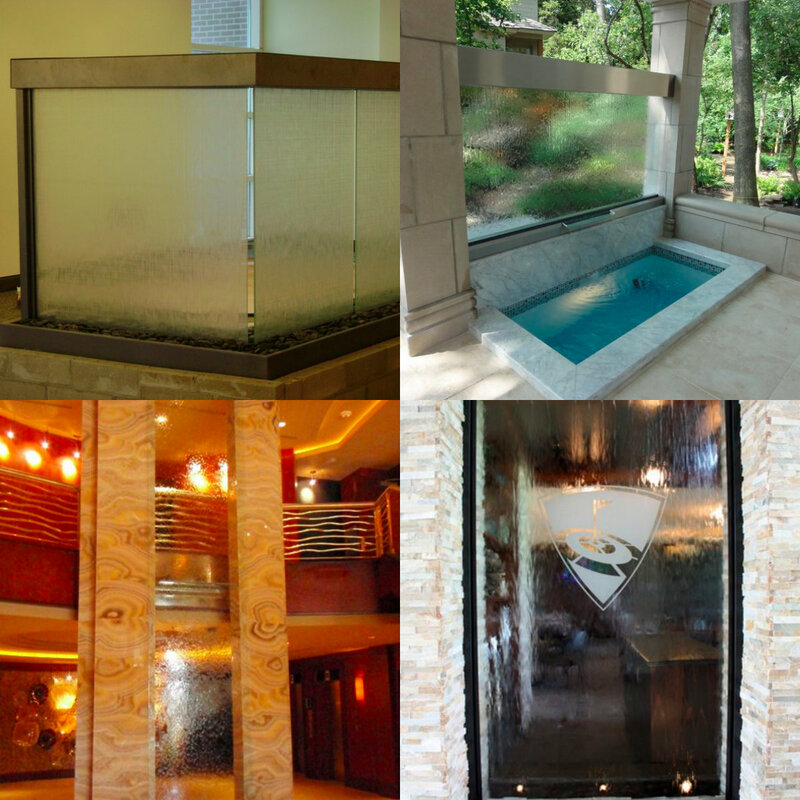 Indoor water features have always been a desired component of custom built homes. 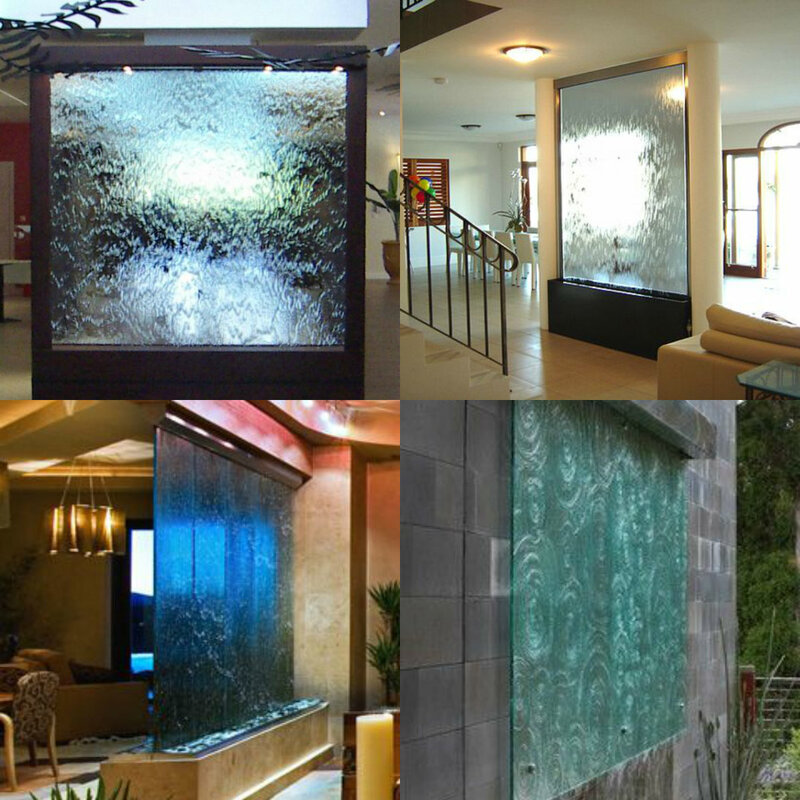 The indoor water features available to home owners to date come in many choices of sizes, styles, colors and materials. There are miniature water features for office desks, logo water features for corporations, wall mounted waterfalls used in lawyers and doctors offices and of course commercial scale waterfalls for luxury resorts. Indoor water features are a beautiful and effective way to enjoy the comforting sounds of water in your home while adding style to your interior décor. 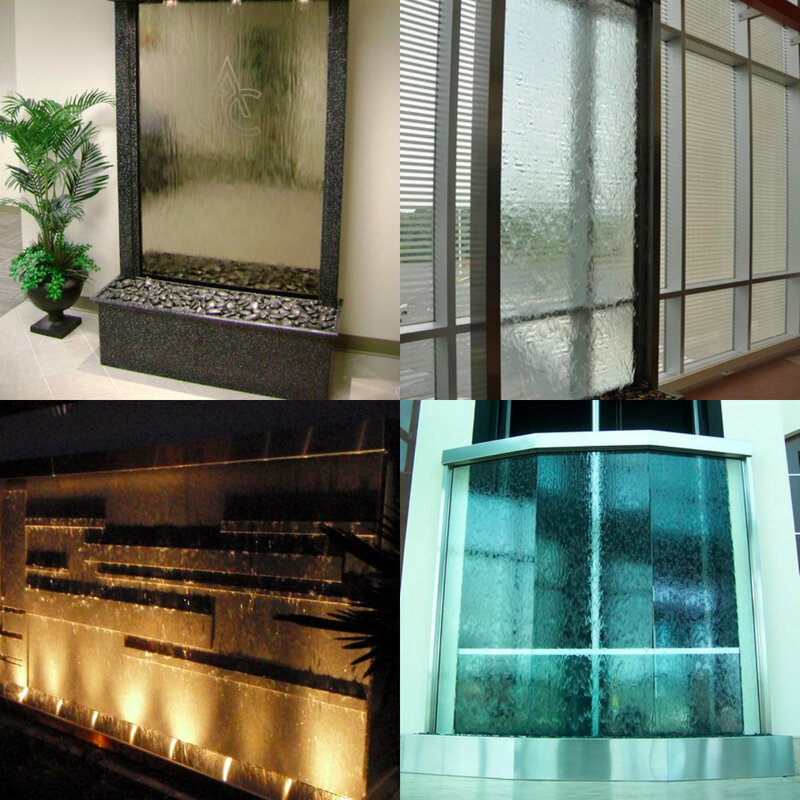 The wide variety of indoor water features available online can help you find one to match your style. You don’t need a garden to enjoy a water feature. They can be enjoyed indoors from the comfort of your home. There are many benefits that you can enjoy by owning an indoor water feature on top of the beautiful sounds that they produce. We live in an increasingly stressful world, characterized by anxiety, tensions and pressure. STRESS is one of the bigger triggers for physical and mental diseases that often goes unchecked. The sounds of flowing water helps to create an atmosphere of calmness and serenity in the comfort of your own house. Reduced stress means less tension in your muscles and joints over time. You can simply relax in your living room or even bedroom, enjoying the sound of trickling water after a hectic and busy day at work. You can go to sleep and wake up to the soothing sounds of running water. In fact, it helps you sleep better. In short, you can create a relaxing environment in any or every room of your house by placing indoor water features in the places where you spend the most time. In the winters especially and any time during the rest of the year generally, the air comes dry and causes health issues. Nosebleeds, dry eyes, dry throat, and other symptoms of dry air can be remedied by adding a waterfall. The waterfall will not only help add moisture to the air but also trap allergens floating about. Nobody likes dry air! In most cases, it makes you skin drier, itchy and uncomfortable. 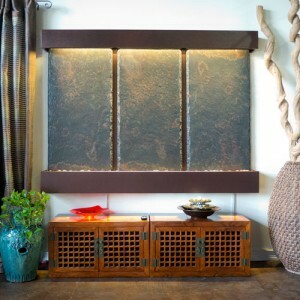 Indoor water features will add moisture to the air in your room naturally while also looking good. It is beneficial for you, your clients, your family and even for plants that are in the sameroom. Water features are an amazing way to enhance the décor of your home and create a natural and peaceful environment. They help to provide a focal point to the room. Water fountains are available in many different forms such as floor models, wall models or tabletop models. You can choose the style that compliments your room décor and add more style to your home or office. Custom waterfalls can make your next renovation project worthy of an award. When your home or office is situated in busy neighborhoods or next to loud neighbors, you need white noise to drown out the undesirable noise. At times, people need white noise to sleep. Flowing water is the most relaxing and soothing white noise you can get. Indoor water features are an excellent source of white noise, drowning traffic sounds, loud neighbors, etc., so you can work or sleep peacefully or just enjoy some quiet time. Indoor air quality can be a source of concern especially in rooms which get little fresh air. Flowing water produces negative ions which improves overall air quality. Air purifiers do the same but might not be suitable for a more professional working environment. You could use the best of both worlds for better results. An indoor water feature emits negative ions, appears beautiful and produces soothing sounds of falling water. Negative ions attract dust and other irritants from the air. You can simply clean out the water tray once a month. Indoor waterfalls are a great addition to living or common areas in a home. For offices, they can be used to provide a welcoming atmosphere for your clients and guests. 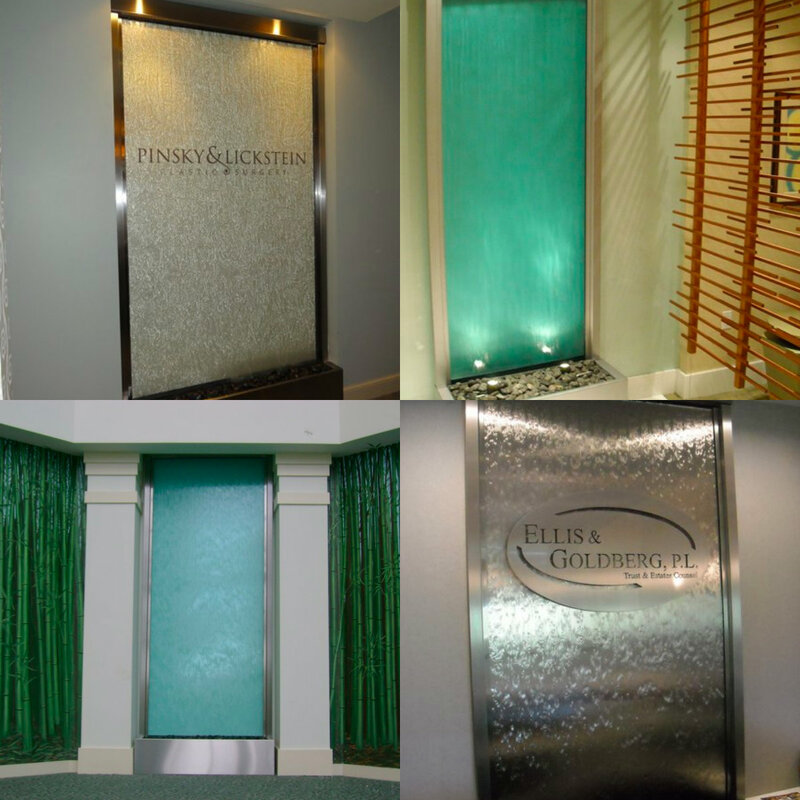 WaterfallNow provides custom logo etching options for every water wall fountain. Water walls come in all shapes and sizes so if you are unsure of what you require, just give us an email and we will get back to you as soon as we can. Things that will help us narrow down the potential options include your previous fountain purchase experience, width/length that you have to work with, waterfall frame material preferences, LED lighting preferences, and the timeframe in which you desire the water feature. 2 Day shipping available across Canada and USA. In most cases goods are received by our customers within 14-21 days of payment. Installation services are necessary and we highly recommend that you hire a professional to do the job. Not set up right, these units can require more unnecessary maintenance. We provide installation and maintenance manuals that cover all aspects of the same. 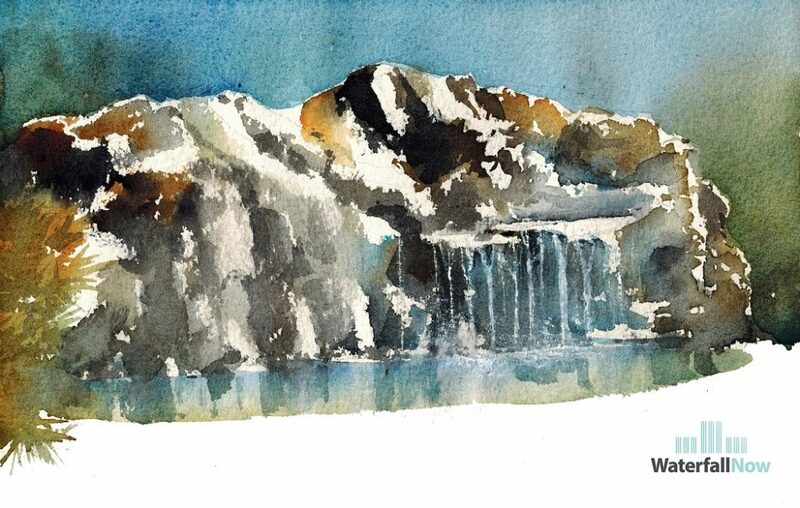 Should you have any issues with a product that you purchased from WaterfallNow just let us know by email and we will send a water features tech to check on the situation or possibly troubleshoot the issue by phone. 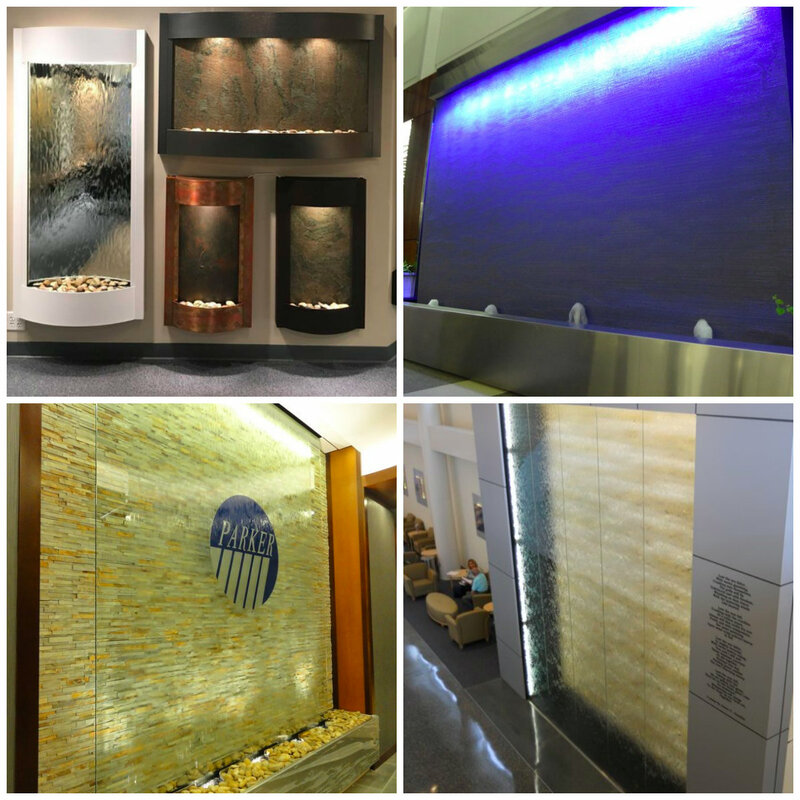 WaterfallNow creates custom designer indoor wall water fountains using artificial rock. They look better than real rocks and cannot be purchased online. 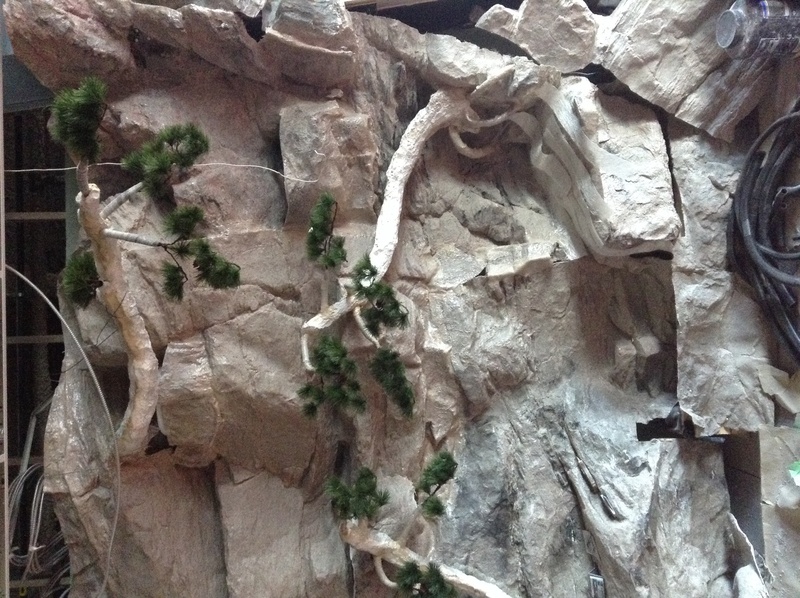 WaterfallNow’s rock water features are all custom hand-made. In the past we employed concrete and other methods but were unsatisfied. We wanted to create rocks that look better than the real thing. We developed a technique utilizing fibreglass that offers our clients with much more custom options to choose from. 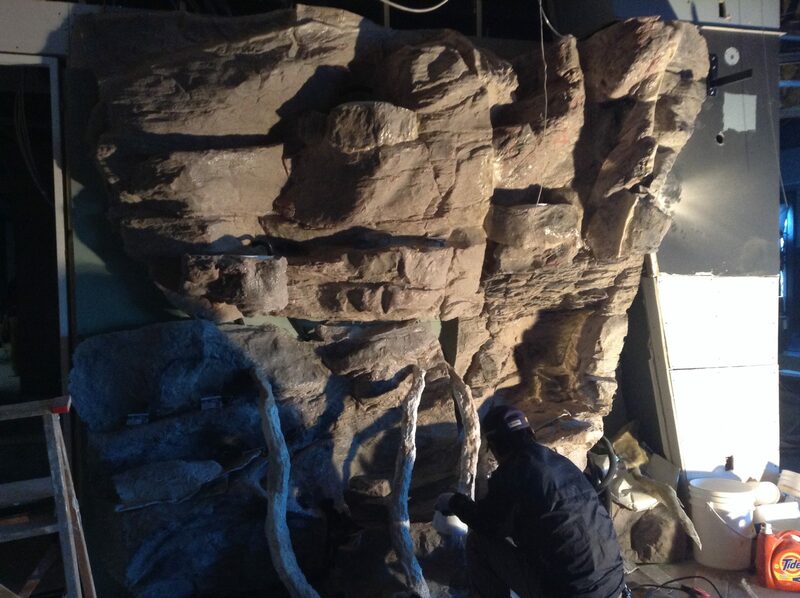 As a result of the lightweight design we are able to manipulate each hand-made rock panel to assemble a rock water wall fountain that looks natural and grabs people’s attention. The only limits are the ones we place on our own creativity. 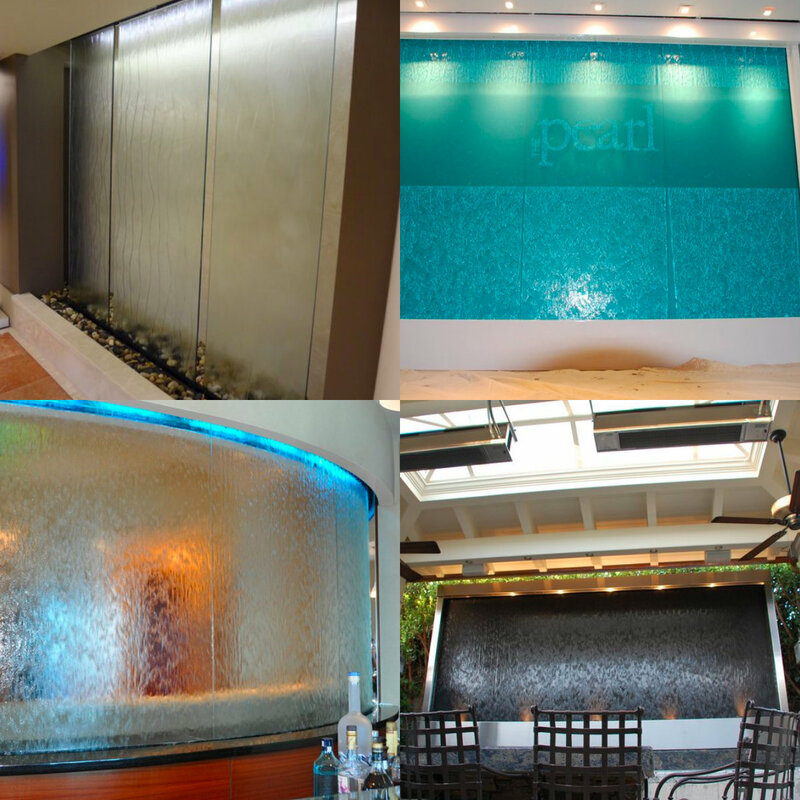 Our indoor wall water fountains are truly one of a kind. They require little to no maintenance due to their simplistic design. We try to keep things as simple as possible. Once in a while we have our clients demanding something top of the line because they want to go “all-out” with their water feature. These are the projects that we look forward to working on because they look the best. Unfortunately having lost our old website domain along with the disappearance of our former web designer who moved to another country – we no longer have any sample photos of projects that we’ve worked on. WaterfallNow has a lot of experience in this area having worked on countless projects. Yes, that old waterfall on 152 Street was something we created. It was one of the first few projects that we ever built. Interestingly someone phones us and asked if they could purchase it. We agreed and it now sits in another location. Part of the reasoning behind that move was because it is not the best location in terms of safety. Too many cars were not paying attention to the street light turning green because they were busy watching the waterfall! We create rock water walls using our hand-made rock panels. These are often created on-site as most large waterfalls are. 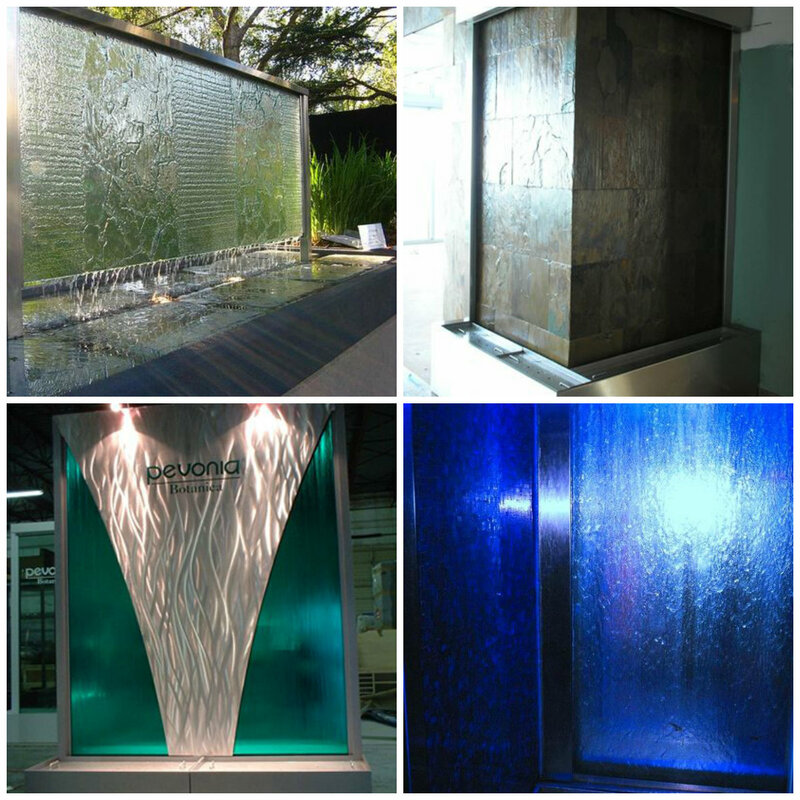 While our specialty is in creating these in people’s backyards we have more recently experienced a demand for indoor water wall fountains. We did some research online and indeed found nothing for clients who want something big or specific, with custom options, and doesn’t require as much space as say a concrete application. While small pre-made water fountains look nice, they don’t compare to something built full-blown, all-out, on-site. 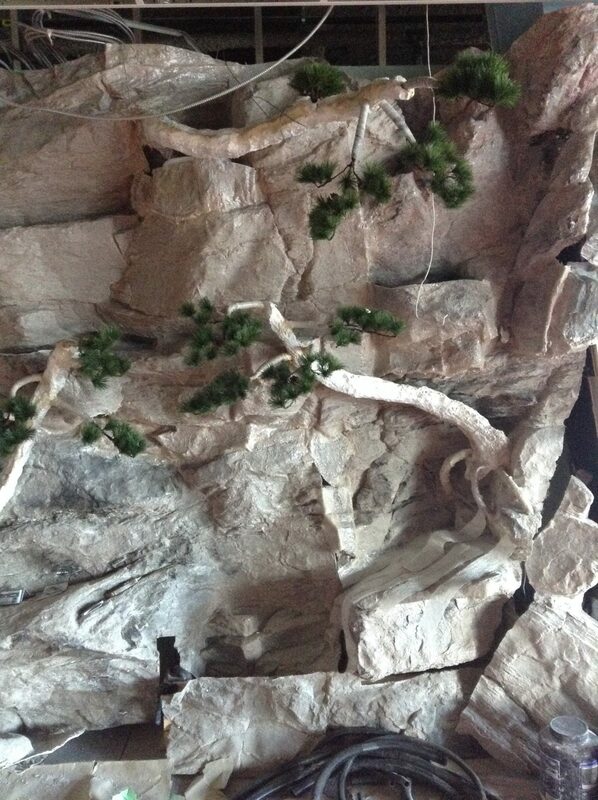 WaterfallNow now has experience creating indoor wall water fountains using our artificial rock panels. 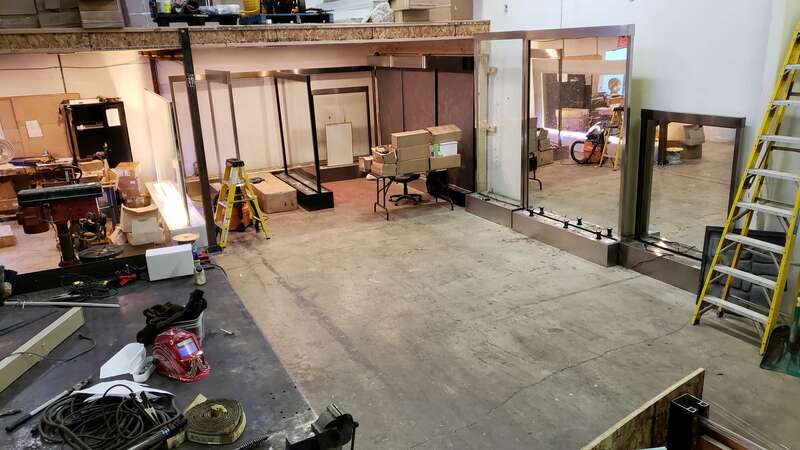 While we can use concrete and other applications we prefer fibreglass because it is lightweight, requires less space, is customizable, can be moved or upgraded from year to year, and should something go wrong with the plumbing – is easy to fix. We find that our clients really enjoy the relaxing sounds of running water in their homes. It creates a great atmosphere for our clients to rest and unwind, also helping them get a more restful sleep. This is especially popular with our clients who work from home or are retired. They get to enjoy the benefits all the time and some can’t imagine not having it around. When we say customized we literally mean customized. You can set the water feature to go on or off with a remote control switch and even adjust the sound or pressure of the flow of water. Maybe you prefer mist/fog over water? We can do that for you as well. Considering getting a water feature for your home or business? A home just isn’t a home without the soothing sounds of running water. Ask any one that has ever owned an indoor water feature and they will tell you how much better they feel throughout the day. For those that want something outdoors but don’t want the hassle of maintenance we offer outdoor water features that require minimal maintenance. 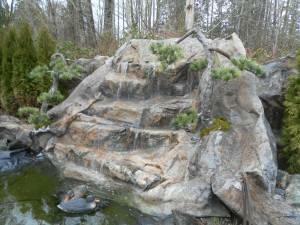 Just add water to our pondless or hidden waterfall rock features and you are good to go. They operate in all 4 seasons and you won’t have to worry about cracking or spending thousands of dollars each year on maintenance – unless your yard has a lot of trees that shed leaves. In that case we can apply a screen to the top of the water source to keep the leaves from affecting the water pump. We order our supplies outside of Canada so should you have a specific request simply let us know in advance and we will place a special order for you. Give WaterfallNow a call. Looking for a way to get large natural rock features for your backyard? WaterfallNow specializes in creating outdoor garden water features using artificial rocks. These can be made in any shape, size, or colour. These can be added onto an existing pond or built pondless. 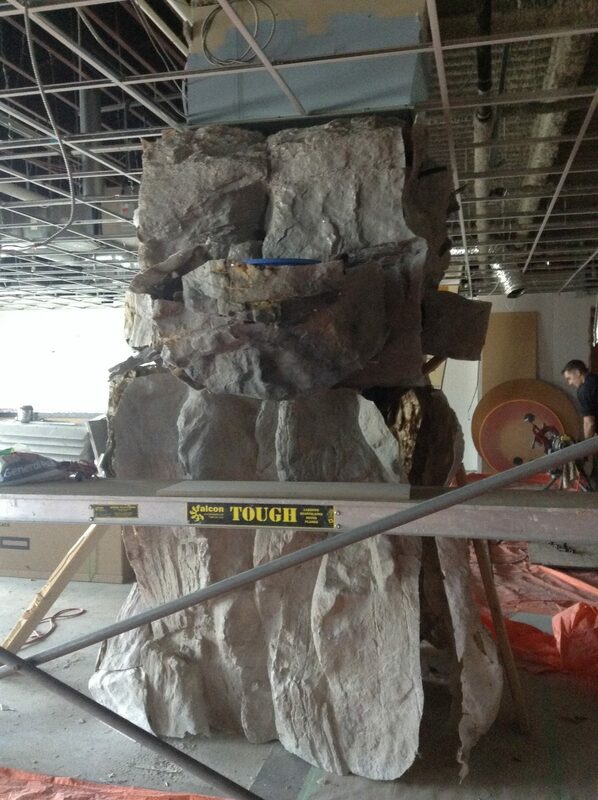 A rock wall starting to take shape. There are many custom options available. 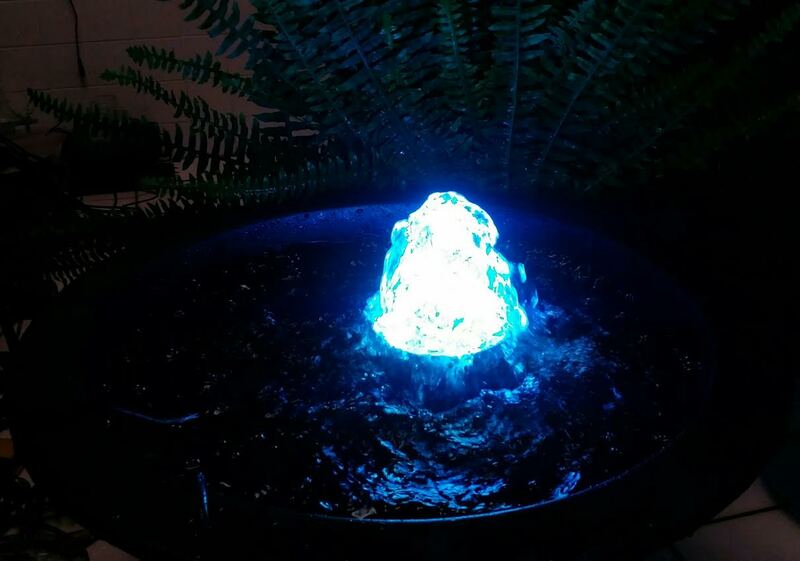 LED lighting, mist makers, fog producers, reactive fountains, programmable fountains and more. 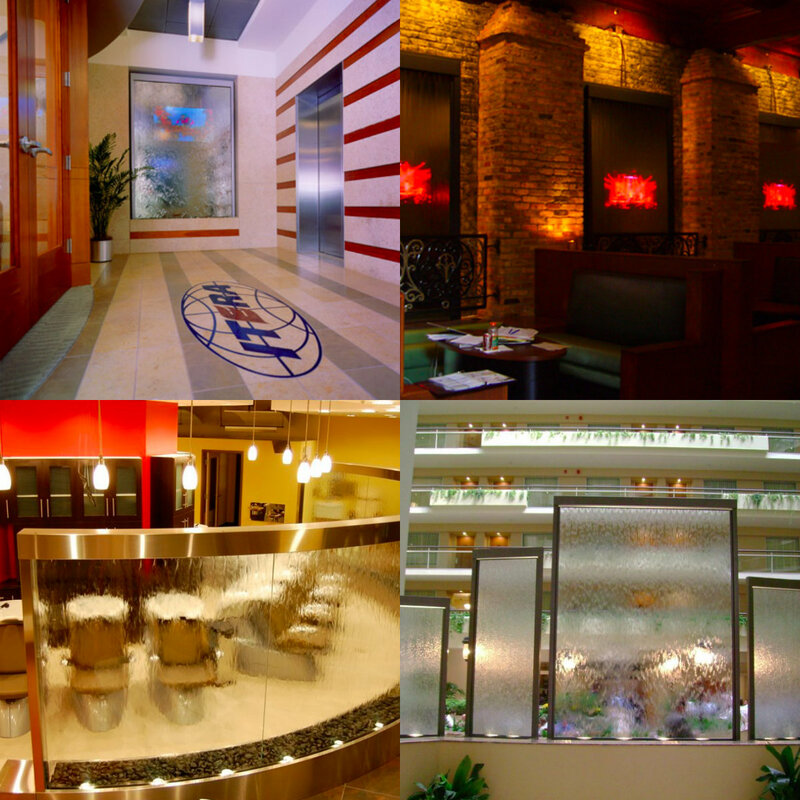 WaterfallNow works closely with designers, architects, and builders. We will have new videos and updates coming in a few months time. If you need some ideas for some outdoor garden water features simply drop us a line. Book your free estimate. In this free consultation we will discover some options and determine the best plan for you. 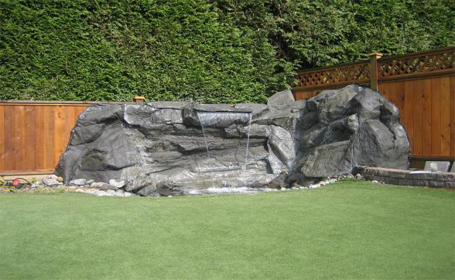 Looking for an indoor waterfall in Surrey BC? We make custom water walls and components. Receive quotes for building materials, rare metals, artistic glass, and large slabs of natural stones, at amazing rates and with extensive selections. Water Wall Surface Options: Black FeatherStone Black Spider Marble Blue Glass Blue Patagonia Bronze Mirror Chavo Travertine Clear Glass Fantasia Travertine Green FeatherStone Green Glass Green Slate Grindio Travertine Magnifico Travertine Multi-Color FeatherStone Multi-Color Slate Norwegian Rose Granite Piano Travertine Rainforest Brown Marble Rainforest Green Marble Red Patagonia Silver Mirror Kiln Form Glass Pattern Glass Rolled Glass LED Backlit Onyx/Quartz Soapstone Granite and more… Over a dozen suppliers in North America and overseas. 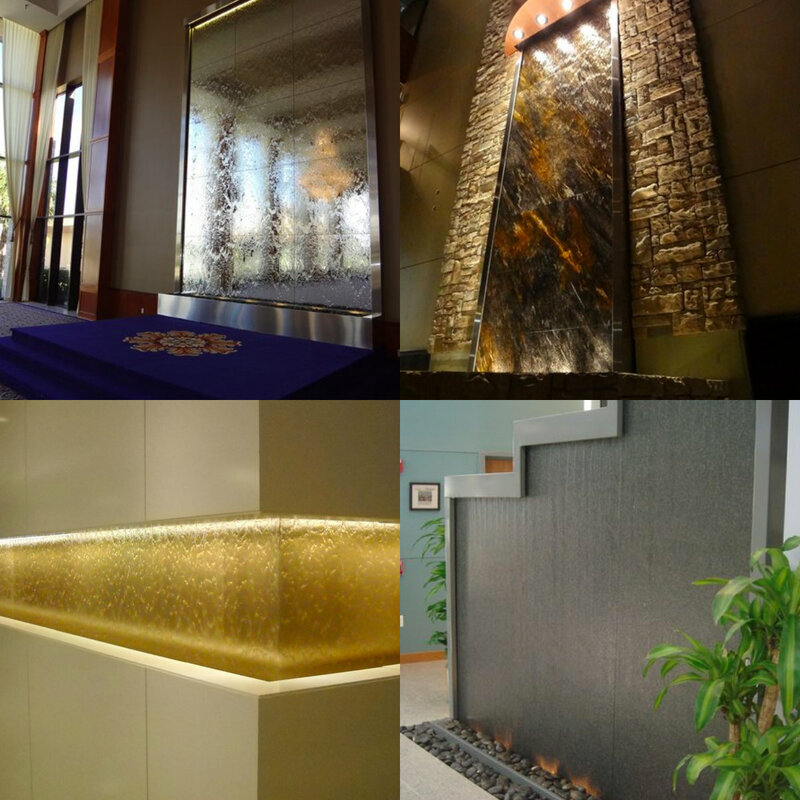 Water Wall Trim Options: Antique Bronze Blackened Copper Bronze Silverado Copper Vein Eurso Vein Rustic Copper Shimmer Gold Silver Metallic Silver Vein Snow White Stainless Steel Textured Black Woodland Brown – If it can be done, we will find a way and get the best quotes. 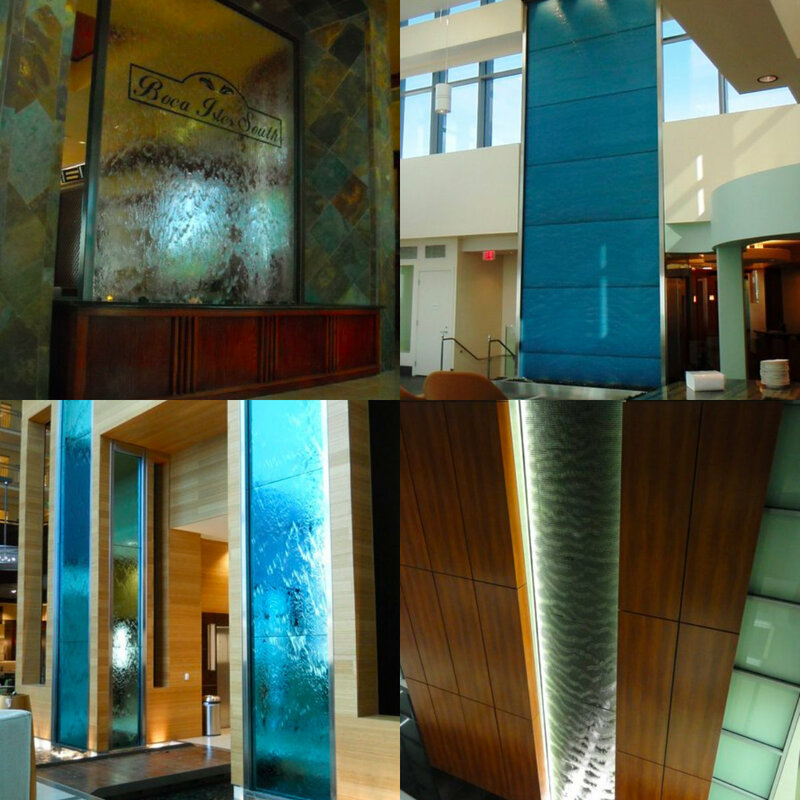 Patterned Transparent Surfaces (New): Exclusive dealer pricing on custom patterned, decorative, embossed, acid etched, coloured, tinted, stained, dichroic, or kiln formed glass, vacuformed acrylic, and more. Design selection, molding, and casting in 1-25 days. #11-8116 130 St Surrey, BC V3W 8J9 (warehouse/fabrication by appointment only – no walk ins). We look forward to hearing from all of the builders, home-owners, architects and designers that work on luxury homes.